This week’s “flash crash” has inflicted some technical “damage” on the market but nothing too serious, for the moment. However, some caution is warranted. Accordingly, please note: if the 9,440 price level is broken on the trannies the next key price point will be 9,029. Should this level fail, the Dow Transports will be in a bear market. 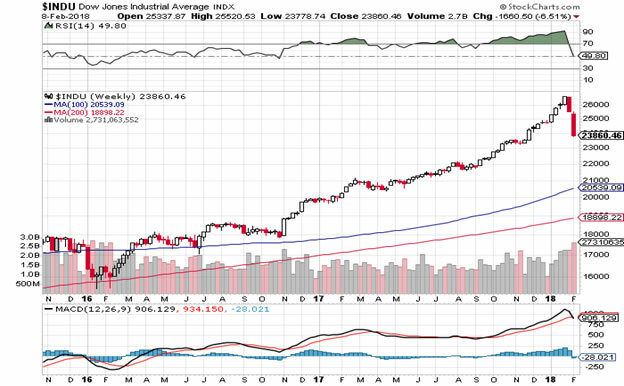 How the Dow Industrials will react in the event of such an occurrence will be fundamental to world stock market behaviour for the rest of 2018/2019. 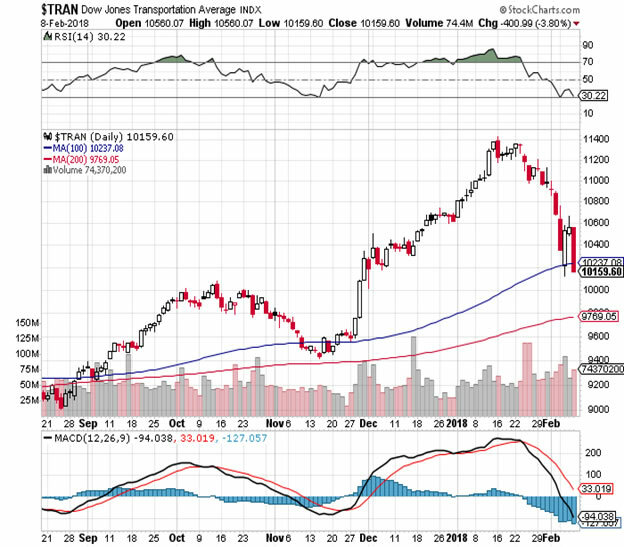 Given this “crisis of market functionality” investors and traders who have benefited greatly from this bull market, which commenced in March 2009, might consider going to 100% to cash right now thus avoiding the inevitable train wreck I see coming down the tracks. The recession catalyst I see will be the FED forced to raise interest rates quickly due to imported inflation as a result of an ever weakening dollar. Rising interest rates will destroy sovereign fiscal policies worldwide and force growth crushing personal taxation increases. In other words austerity will return with a vengeance. 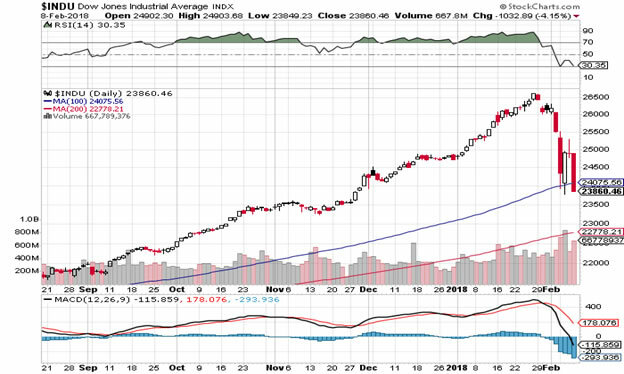 This market position exit strategy may mean losing some profits from future hyperbolic market action but it means one is liquid and in pole position to take advantage of any “flash recession” and the inevitable eventual “flash recovery”. It is now obvious we are living in an altered trading environment.